If you’re an adrenaline junkie and water sports counts as your only true love, don’t be caught saying you’ve never been to Costa Rica. With over 800 miles of coastline and 300 beaches, Costa Rica is nature’s answer to every water sport lover’s idea of paradise. 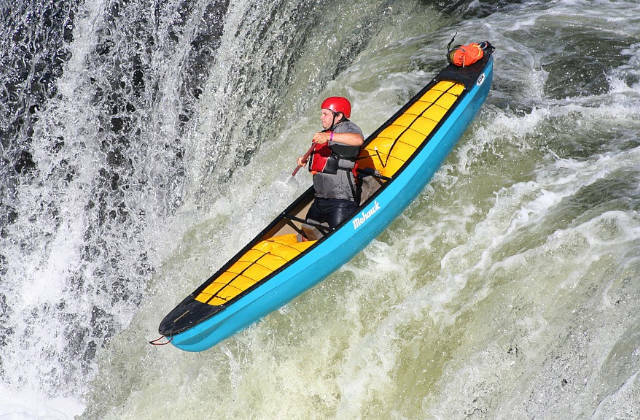 Here’s a list of 5 water sport adventures that you must throw yourself into when you go there. “Surfing is like the mafia. Once you’re in – you’re in. There’s no getting out.” The legendary Kelly Slater’s words. If you’re a surfer, you know that feeling of being reeled back in. And nowhere does it strike you more real as in Costa Rica. Once you get a taste of surfing in Costa Rica, you might even want to pull up stakes and settle there. Innumerable surf pockets are tucked into Costa Rica’s two coastlines, the Pacific and the Caribbean. From Playa Naranjo in the north to Pavones in the south (the surfing mecca), the country is strewn with beaches where you can catch some marvelous surf breaks throughout the year. The water temperature is a comfortable 80-85 °F and depending on the season and the location you can enjoy lefts and rights, long barrels, and large swells. Whether you’re a beginner or advanced surfer, you can find waves that suit all levels. You can sign up for a surf lessons with expert trainers if you want to brush upon your skills or want to go one level up. Jaco is gearing up for serious surfing this October 4-7 when the a Pro Men’s and Women’s Qualifying Series will be held here after a gap of two years. Best Time: All through the year. Want to infuse some mojo into your group trip? Try white water rafting. Quality family time and corporate team-building are guaranteed on this adventure. For a bachelor party freedom fest and high-jinks, this is a perfect accompaniment. The river systems in Costa Rica offer a range of rapids, from Class I to Class IV, that is rafting that varies from easy and medium to difficult and very difficult. 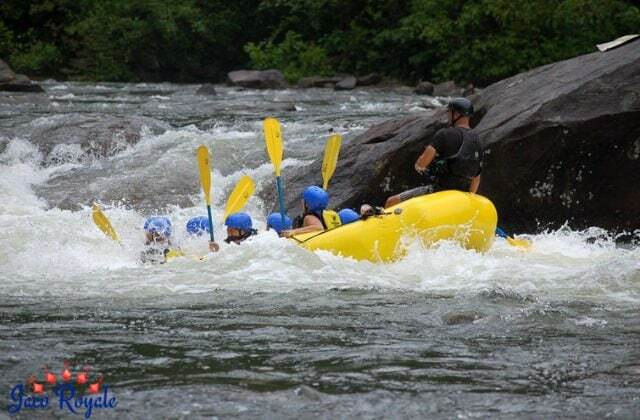 The Savegre River, Naranjo River, Pacuare River, Pejibaye River, Sarapiquí River, and Tenorio River offer everything from gentle paddling to adrenaline-charged thrill rides. The rapids exert intense pressure on your grit and muscle throwing obstacles in your way and trying to sweep you away, but they will reward you with sights you’d never find on land. You will encounter hidden waterfalls, canyons, and exquisite flora and fauna. Do note that children below 14 years are barred from white water rafting on intense rapids. Best Time: All through the year. June through October is best for highly challenging trips. Can’t swim? Don’t want to scuba dive? Go snorkeling in Costa Rica. 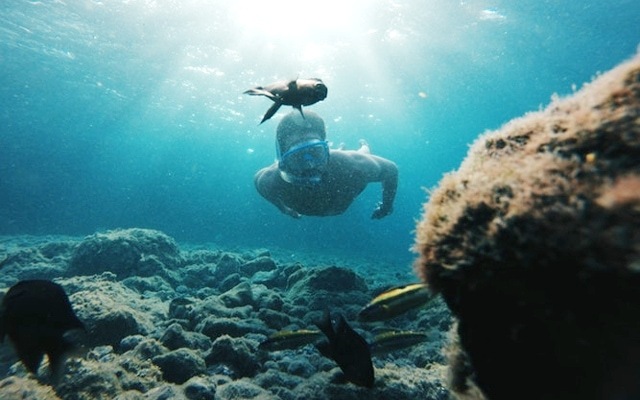 Fitted with simple snorkeling gear that consists of a wetsuit, mask, fins, and a snorkel, you can explore the colorful sea creatures that inhabit the reefs and ocean floor. Caño Island Biological Reserve in Osa Peninsula hosts the highest concentration of coral-building organisms along the Pacific Ocean. Visibility is good almost throughout the year. The calm waters make snorkeling a breeze even for a beginner, and the coral adds a dash of welcome color. Manuel Antonio National Park in the Central Pacific is most likely on your itinerary. In that case, you should scope out the southern end of the Manuel Antonio beach, where you can spy on schools of butterflyfish and angelfish. If you’re keen on reef systems, snorkeling in Marino Ballena National Park in Puntarenas should be an eye-opener. The marine park hosts 18 species of coral reef and a range of creatures – turtles, parrot fish, manta rays among others. Best Time: Best during the dry season when the rivers are not muddy. Visibility could be poor during the rainy months (May through November). Costa Rica is an angler’s paradise that holds out superb game, come dry season or rainy season.. This small country wedged between two oceans offers incredible fishing opportunities and experiences. 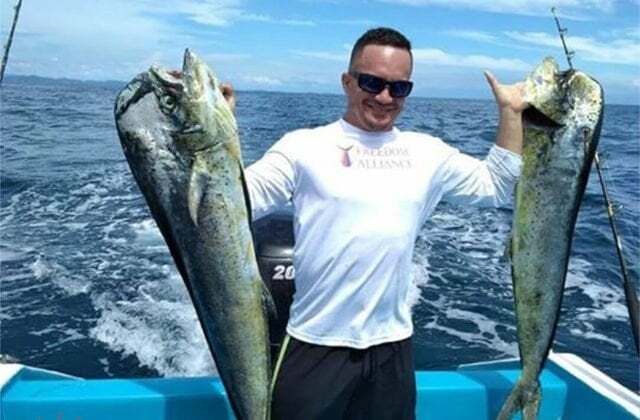 It’s a rich coast with a thriving population of all the three types of marlin (blue, black, striped), tuna, roosterfish, sailfish, wahoo, snapper, dorado, dolphin fish, snook, and barracuda. In terms of size, speed, and acrobatics, there is none to beat the marlins. Tuna is another coveted prize, for despite their relatively smaller size, they can keep you on the edge till the end. There are several fishing options in Costa Rica – inshore and offshore. The former offers a relaxed kind of fishing with light tackle within 30 miles of shoreline. Offshore or deep sea fishing, on the other hand, is not for the faint-hearted. But with their ample experience, the fishing crew will guide you to the most fertile parts of the ocean and help you snag your fish. Any billfish, roosterfish, or tarpon caught in Costa Rica is safely released back into the water. But if you catch a yellowfin tuna, you can have fresh sashimi right there on the boat with soy sauce and wasabi. If you caught plentiful, you can take them with you to your hotel and have them turned into a gourmet dish by your private chef. Best Time: Depends on the fish: Marlin (November–May), yellowfin tuna (May–October), black tuna (throughout the year), wahoo (May–December). Rappelling is to water sports what ziplining is to aerial adventure. Both are top-of-the-world experiences without which no trip to Costa Rica is complete, especially if you’re visiting for the very first time. Different experiences come together in rappelling – rainforest hikes, horse riding, climbing, rappelling, and swimming in the pools, all of which simply blow your mind. It’s a nature lesson in and of itself, a stress buster, and ego booster all rolled into one kickass adventure. Manuel Antonio is easily the most popular rappelling site with multiple waterfalls that range from 20 to 50 metres in height. At Arenal, push your boundaries rappelling down a 80-ft waterfall. Go crazy with your GoPro and capture the hair-raising moments from your rappelling and bungee jumping sprees. Rappelling might be a good way to confront any acrophobia you have because it is 100% safe. You will be provided standard rappelling equipment and the instructions are pretty easy to follow. Remember, the high season is nigh. Book your vacation right away! And don’t forget to pack your favorite boardies, bikinis, and tankinis to get real wet ‘n and wild!